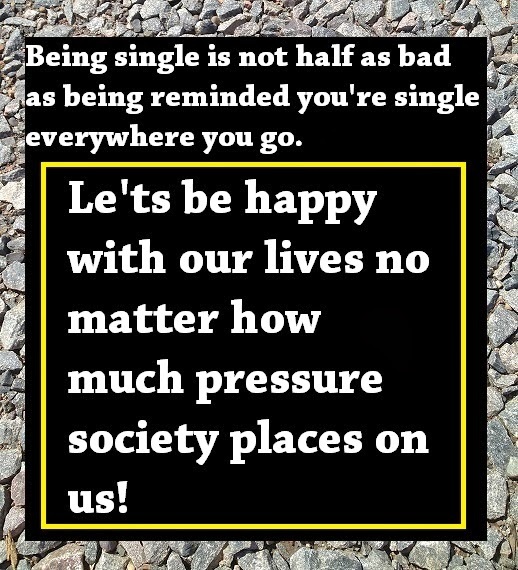 How happy are you with your single life? What if people told you it was okay if you never got married and never had kids? What would you do? How would you live your life? How Happy Should Single People Be? It's only natural to feel lonely and out of place when single sometimes. In fact, if we never desired to get married, we'd never be open to relationship. We'd also miss out on destiny completely if we indeed were meant to be with "the one" at some point. 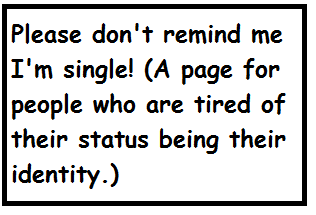 We can't let being single define who were are. 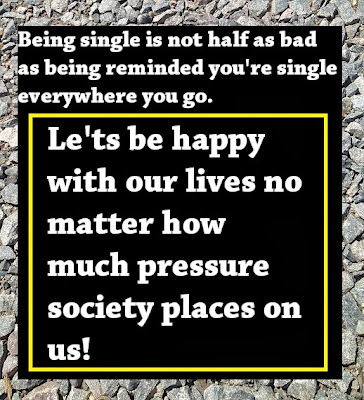 Oftentimes, people who are married wish they were single and vice-versa. However, the true challenge is being content with whatever status you have. If we envy a married person or if we are already married and envy a single person, we might learn the hard way the grass is not greener on the other side. Therefore, whether single or married, how happy are you with your life?